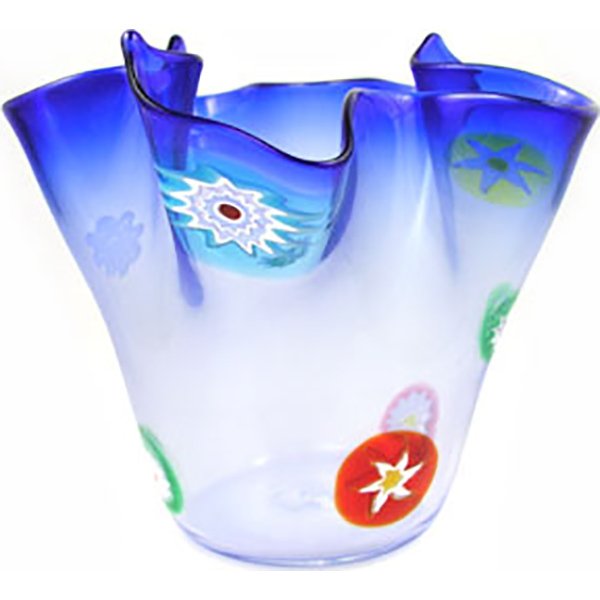 Murano glass vase blown by artisans in the handkerchief style. Approximately 5 inches tall, flared at the top with narrowing base. As with all Venetian Glass, each piece may vary slightly due to the uniqueness of handmade glass. Handmade Made in Murano, Italy.